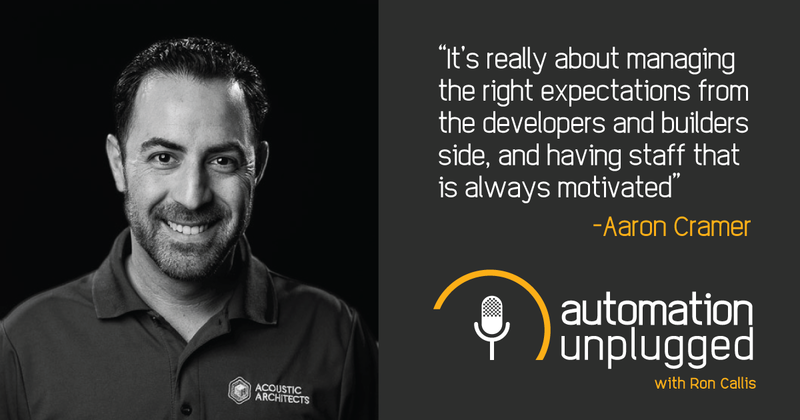 This week's show features our host Ron Callis interviewing Aaron Cramer, Director of Operations for Acoustic Architects from his home in Fort Lauderdale, FL. Aaron has been in the CI industry since 2005 and has worked with multiple leading integration firms. He joined Miami based powerhouse integration firm Acoustic Architects in 2011 and currently manages all production including MDU's. Recorded Live on March 21st, 2018 at 12:30pm EDT.